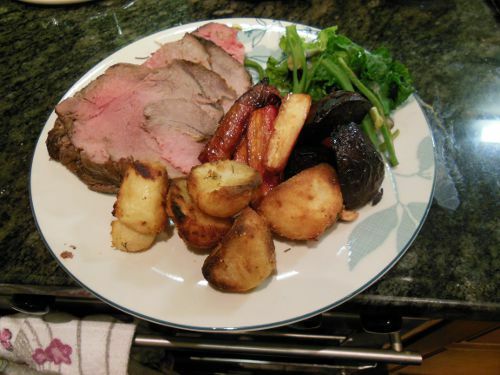 Want to find out how to cook roast beef? This recipe is adapted from the Hairy Bikers Cookbook, and uses mustard, fresh horseradish, rosemary and garlic. I was very impressed with the meat, the flavour was good and the texture was spot on for medium-rare. It was the first time I had made beef gravy, and it also tasted good.